I wasn’t feeling well last week like so many of my friends and probably many of you. I decided that the only way to beat it was to stay home and rest. So there I was at home, …. 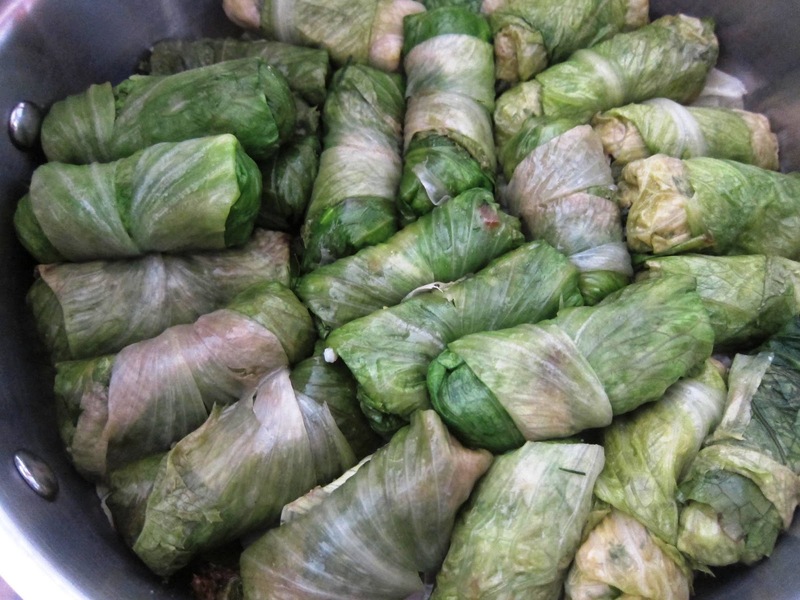 finally I got a bit bored and thought to myself: I know what, this is a good opportunity to try those fish sarma or in this case, levrek or sea bass rolled up in lettuce leaves, a very different kind of dolma, that I’d seen in a new cookbook. 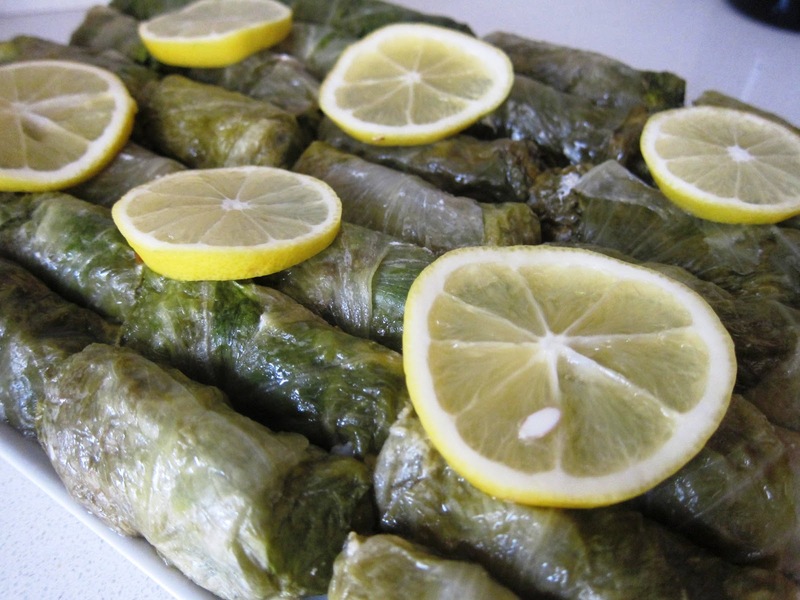 Usually, you see, it’s either vine leaves or cabbage leaves that are used. Using lettuce leaves is a breakaway! The photo was enticing and the ingredients most engaging, plus we were expecting some very dear friends for dinner the next night who I knew would love this …. TT went out and bought the most amazing sea bass. We are so lucky as we have a new fishmonger at the end of the road so he’s trying very hard. Look at these fillets: aren’t they beautiful? 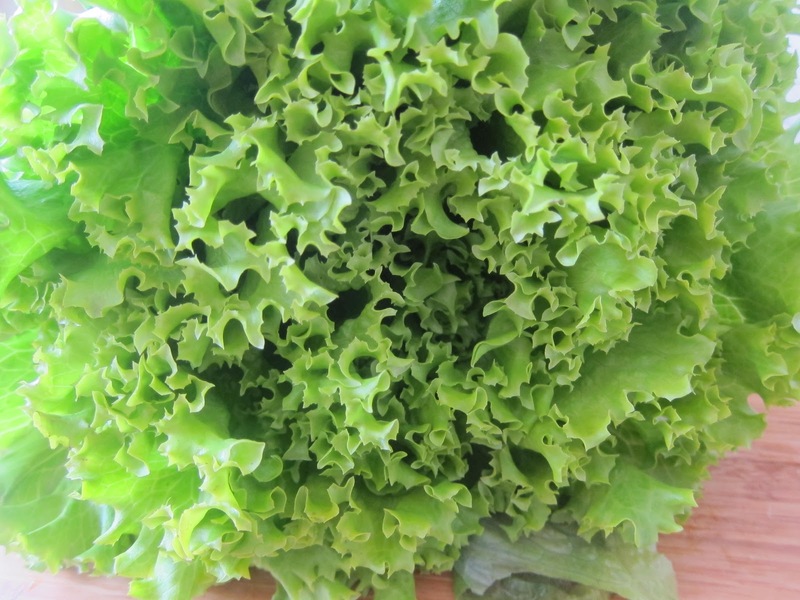 Large lettuce leaves – the recipe specifies 12 romaine/marul leaves but I ended up using 30 of a larger curly-leafed lettuce!!! Add the lettuce leaves a few at a time to the boiling water, cook about 30 secs, remove and cool. DO NOT USE ROMAINE AS THE CENTRAL STALK IS TOO TOUGH. 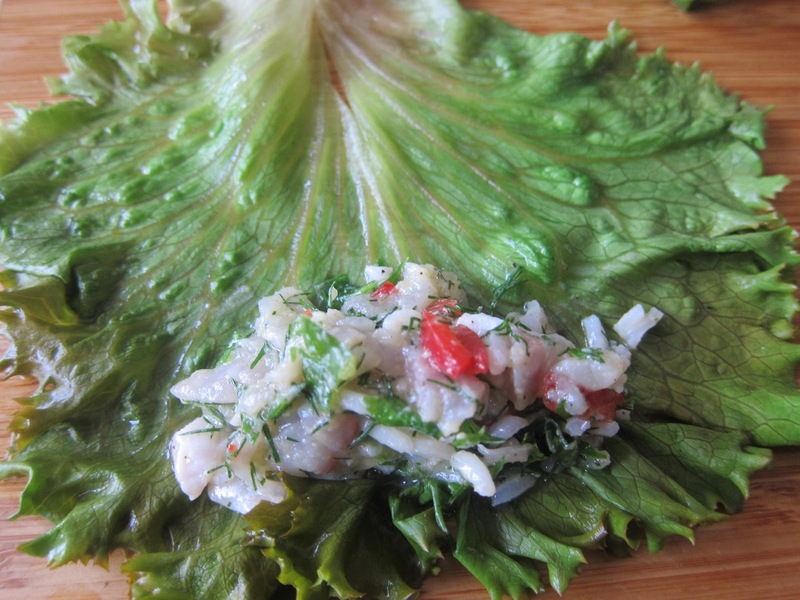 USE A LETTUCE WITH SOFT LARGE LEAVES THAT WILL ROLL EASILY. sitting in the fridge and it happened to be organic to boot. It was perfect! 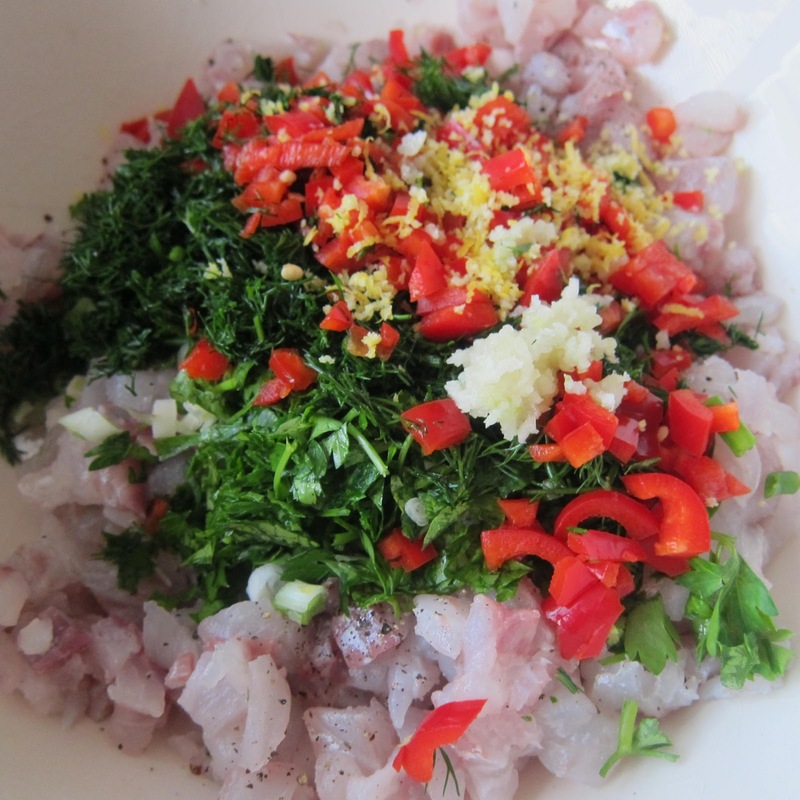 Place finely chopped fish in a container big enough to hold all ingredients. 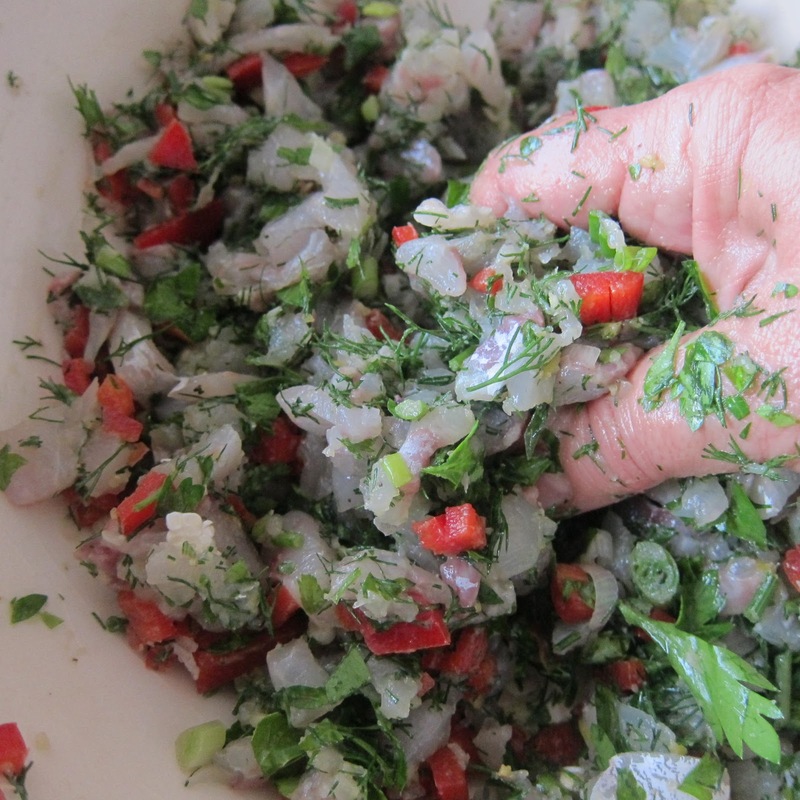 Add spring onions, parsley, dill, red pepper, garlic and lemon peel. 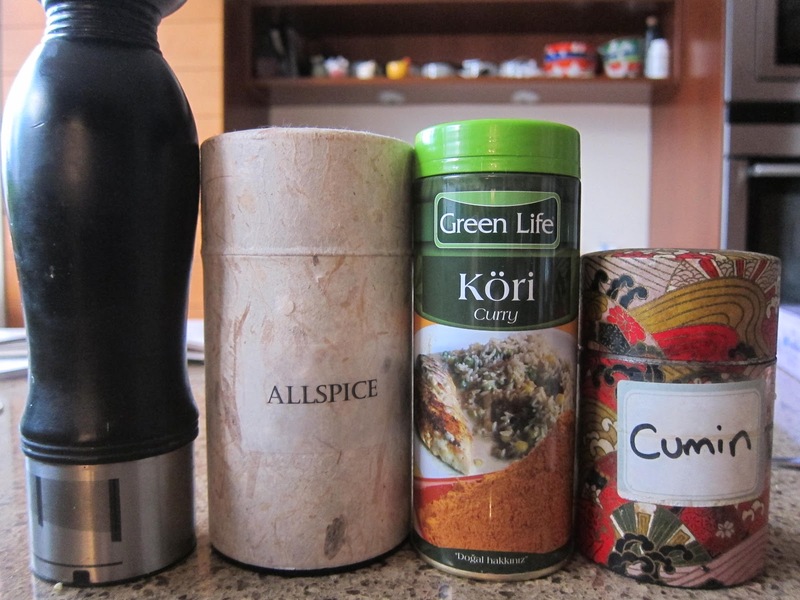 mix all those wonderful fresh ingredients well …. 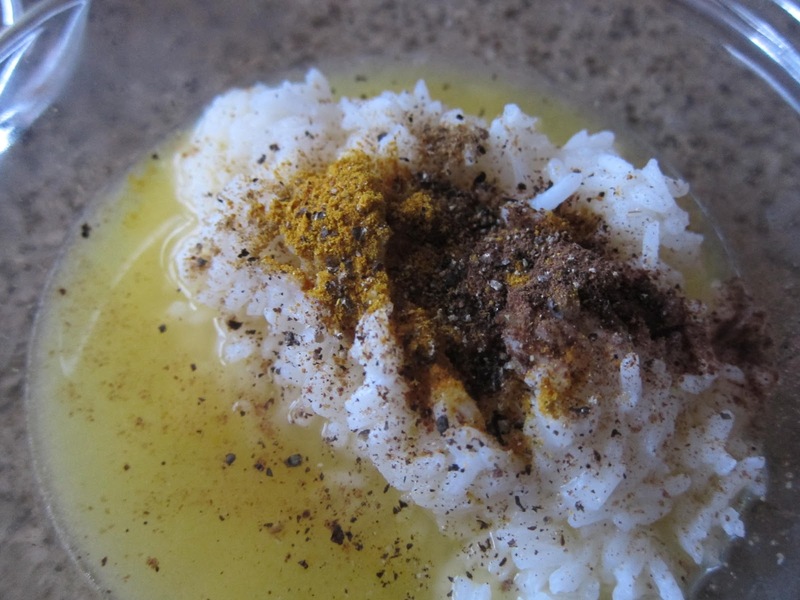 In a separate bowl, combine the orange juice, spices and seasoning with the lightly boiled rice and half the olive oil. Mix well. YOU WILL HAVE A BEAUTIFUL MIXTURE. Take 1 lettuce leaf. Place veined side upwards with the stalk end away from you. 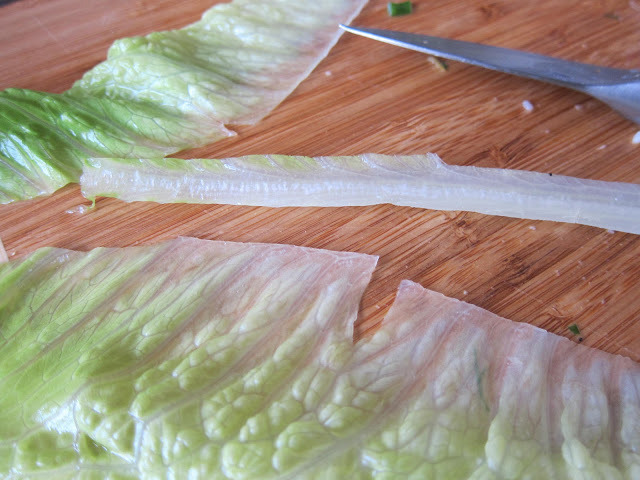 If the stalk is tough, cut it out as it will make rolling difficult. Take a spoonful of the mixture and, folding from the sides first, roll up to the smaller end so that the filling is secured. about to roll …. actually, I see the leaf here is the wrong way round! No matter ….fold the sides in …be firm ..
they roll beautifully as you can see …. Give the roll a light squeeze at the end so that it retains its shape nicely. IF YOU ARE FAMILIAR WITH SİGARA BÖREK, THE TECHNIQUE IS IDENTICAL. 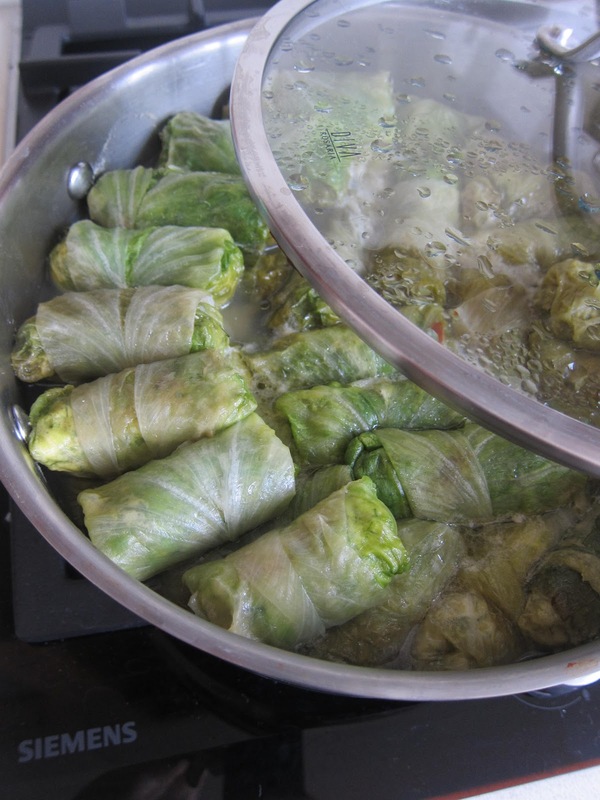 Layer a few not-so-good leaves on the bottom of your pan JUST LIKE YOU WOULD FOR ANY OTHER VEGETABLE DOLMA so they won’t stick. 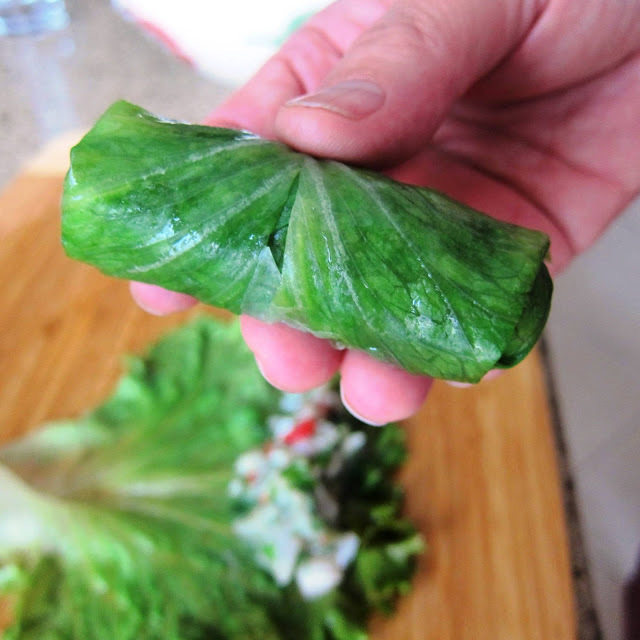 Layer your filled leaves ideally in one layer in a circular pattern in your pan. 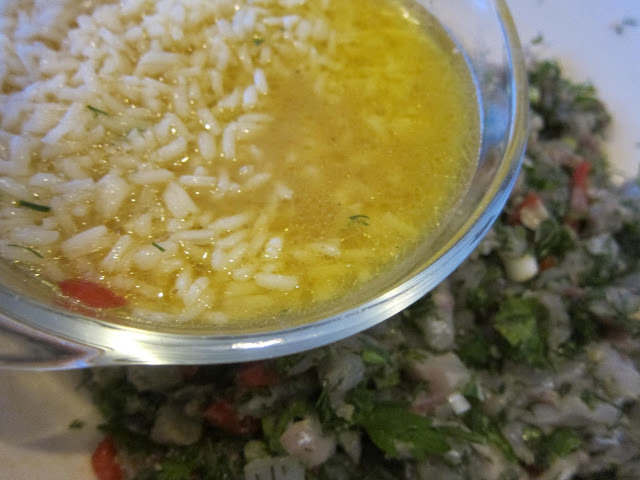 Add the boiling water and remaining olive oil, cover and bring to the boil. Simmer for 25 mins. they look swaddled, don’t they? When cooked, uncover and let cool. Serve at room temperature garnished with lemon slices. beautiful delicious stuffed lettuce leaf fish sarma! This was a fantastic dish with your adaptations, perfect for company. oh my gosh these look so good! when i pull myself out of cookie hell, i am going to make these! Looks absolutely delicious. And thanks for the clear, specific directions! Hi Sue! Well I was pretty pleased, I must say and I'm glad my instructions seem helpful! 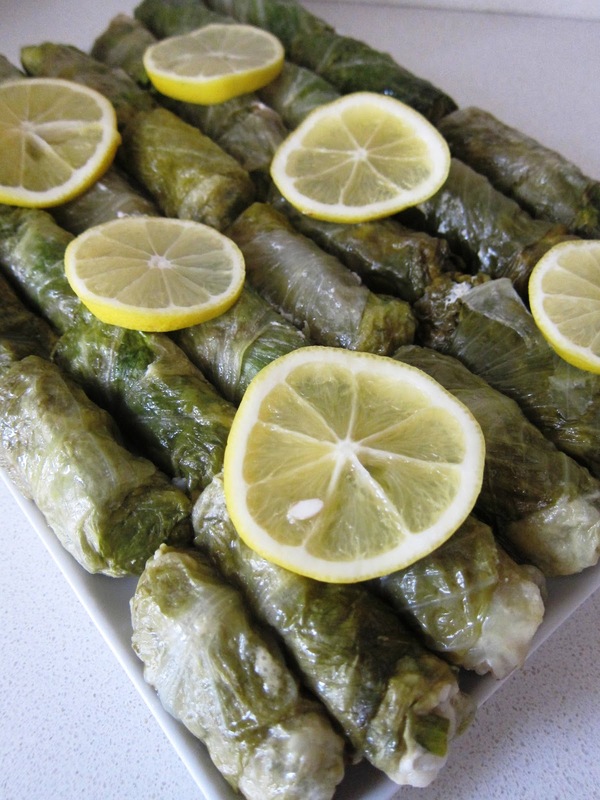 Certainly looks tempting, and you rolled them up so nicely! Hope you're feeling better soon Claudia! Duncan! Hi! Yes, it took its time but feeling much better, thanks! How are you? I am so impressed by this dish! I think I will make them for a first course for our Christmas dinner! Well, Susan, that is praise indeed! If you do, I'm sure they'll wow your crowd! These look so prefect…..never had these type before with fish. ….looks like something I would for sure love to try and make. Claudia, Hope you're feeling better. It's amazing how interesting the various fish are here in Turkey – more so than in Boston, our home town. 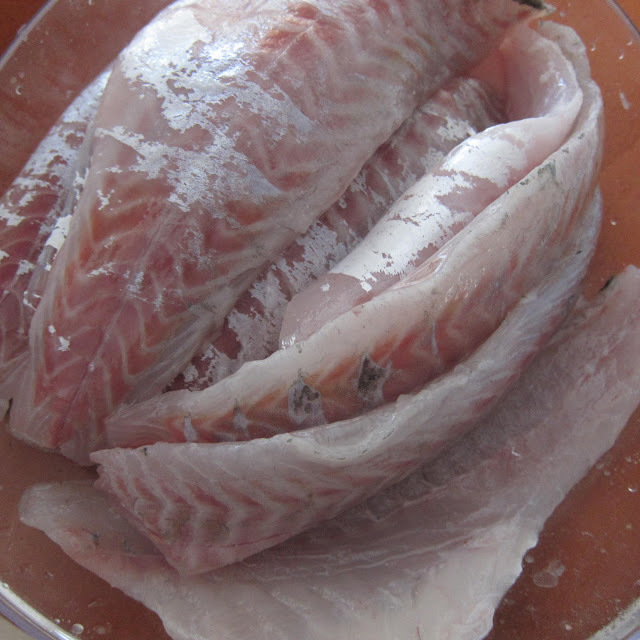 Your blog has really made us sit up and pay attention to when each fish makes its appearance in the market. Today, my husband told me that levrek was appearing in the market and gave me my marching orders to make this delicious looking recipe. These look fantastic! Healthy and fresh! I have a question- what’s the purpose of the orange juice? Thanks for sharing! Hello Chioma, the orange juice offers the dish a sweet tang. It is quite unique and goes very well in this dish but other than that, there is no other purpose. I hope you will try the dish and I look forward to hearing if you enjoyed it.